This is my second box of the three that Kim very kindly bought me for my birthday and it just seems to get better and better. I am even considering keeping this box on myself for month 4 instead of Glossybox, shock horror!! I am really impressed with the contents of this box and love everything in it, it’s just so on trend and in season. I also really liked the magazine this month and it also included top tips for ways to use coconut oil! Keep reading to see what I received. 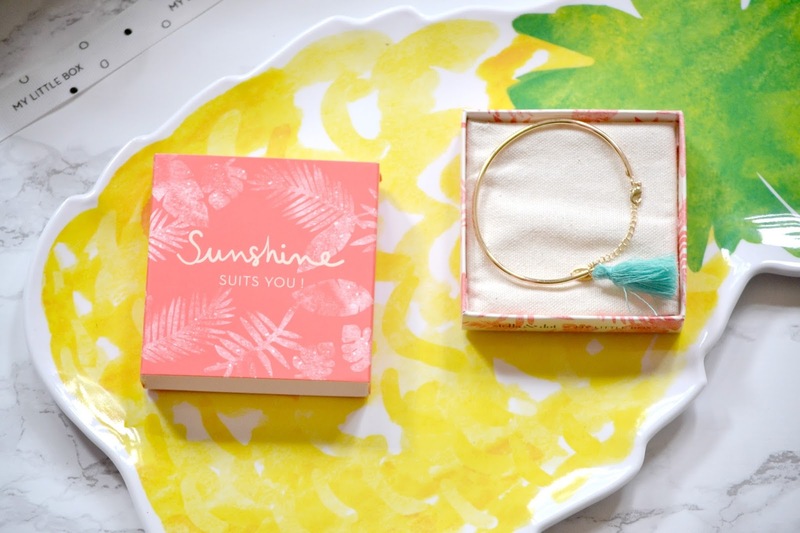 Firstly I received a Stella & Dot bracelet. Mine is a gold colour with a coral tassel but I have seen other colours available. I love this colour as it goes with some of my summer outfits already and I look forward to wearing this. It’s going to look great with a tan. This retails at £18. I’ve been loving this style of bracelet recently and have seen it popping up in various stores so I am pleased to get my hands on something similar. 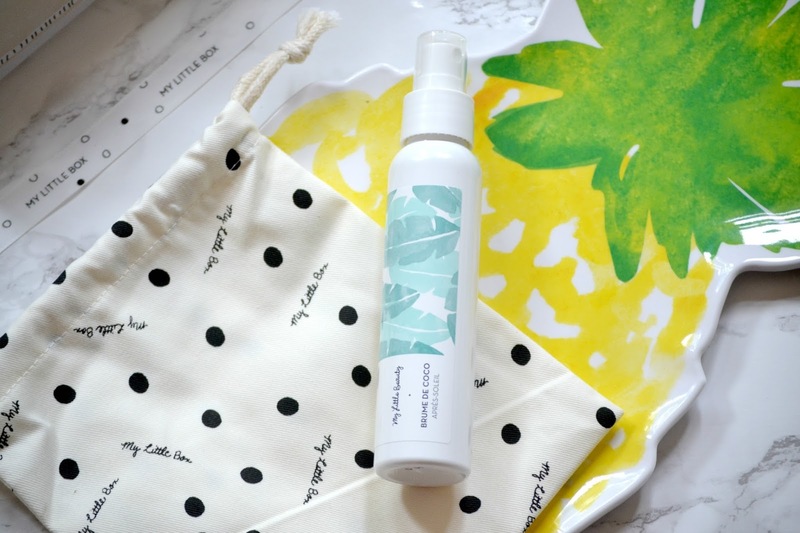 I absolutely love this My Little Beauty Brume De Coco Apres Soleil (RRP £10). It smells absolutely delicious and I love applying this after a day in the sun. As you probably guessed, this after sun has a lovely coconut scent. The product sinks into the skin and after applying this I felt soft and the sweet scent lingered on the skin. I have even tried popping this in the fridge and using it after a day in the sun and it is AMAZING. The items came in this adorable cotton bag illustrated. I love how handy this is and I have been topping it up with essentials and popping it in the bottom of my tote bag to keep everything together. 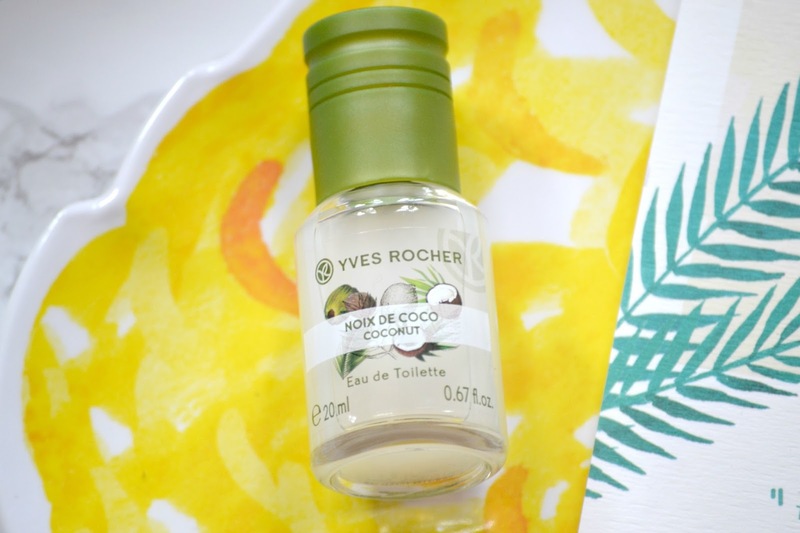 My FAVOURITE item in this box is the Yves Rocher Noix De Coco EDT. This is the ultimate summer scent and I have been using it religiously to the point where I am worried I am nearly out! It smells like pure coconut, not artificial in the slightest. This retails at £7 but you can get it cheaper via the Yves Rocher website.. if it wasn’t sold out! I really wanted to buy the whole coconut set but unfortunately it was also sold out on the website. I will be checking back regularly to see if I can get my hands on some more. We then received the Merci Handy Coco Rico Hand Sanitizer which retails at €3. I often use cleansing gel in my job and love having it handy so this is the perfect size to pop in my pocket when I am at work. 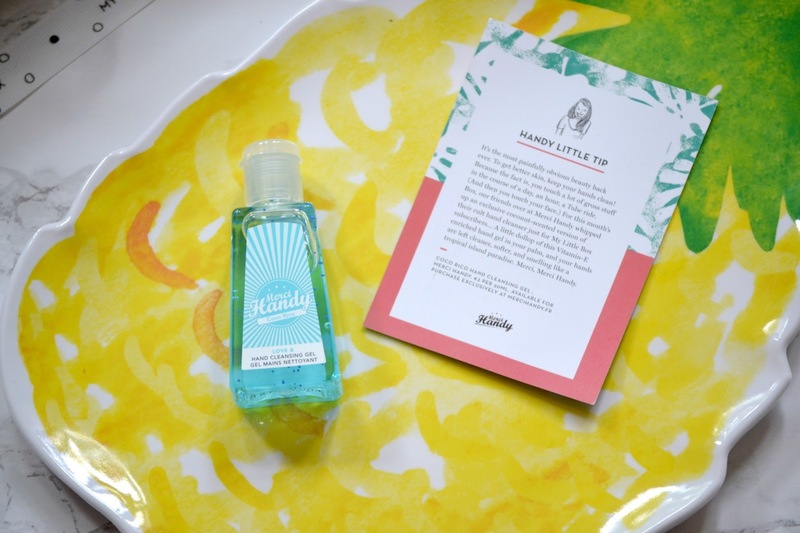 The one I currently use is a little bit cheap and sticky so I was so pleased to see a nice new one with a scrumptious tropical scent. Kim really loved this Ojon - Rare Blend Oil which costs £30 for 45ml. This oil is the ultimate moisture therapy for the ends of your hair. My hair has been bleached at the ends and the summer sun appears to have made this very dry. The Ojon oil is infused with natural oils from around the world and helps to hydrate, smooth, soften, boost shine, reduce frizz. What I love about this oil is that you only need a single drop. 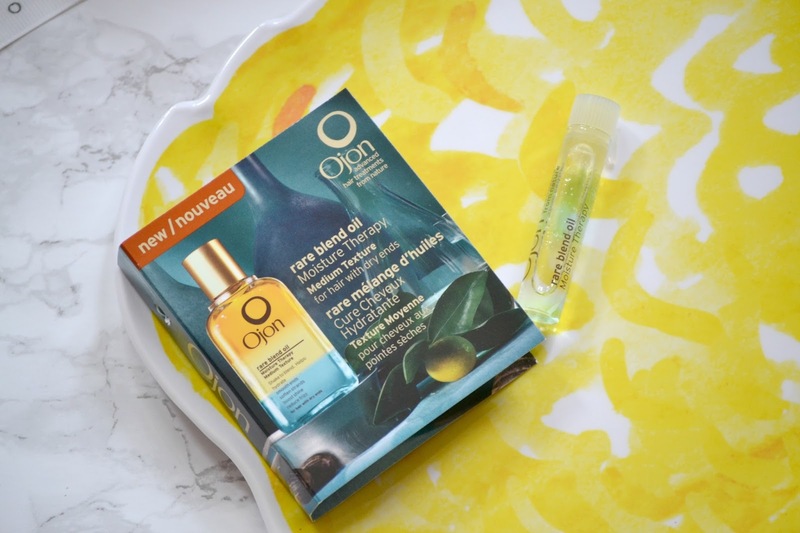 I have nearly used my oil up now and I have really enjoyed using it. I am even considering buying the full sized product because I really love how nice it has made my hair feel. 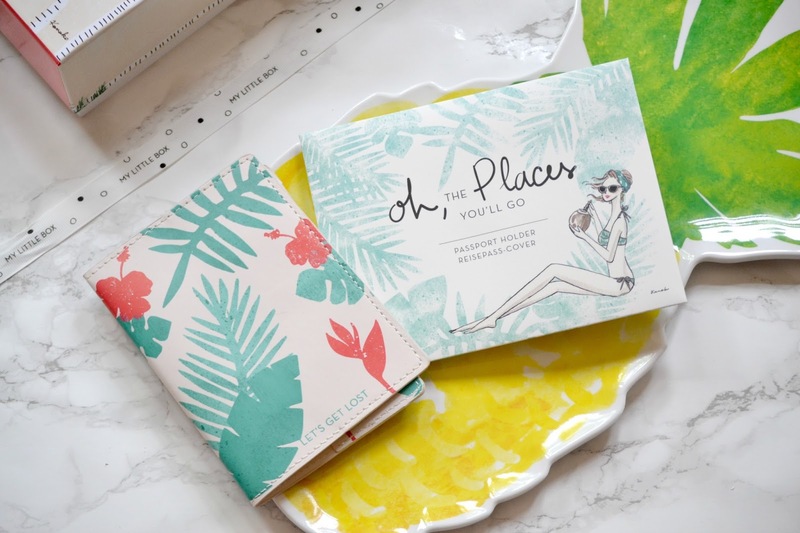 This passport cover (RRP £11) is the perfect summer accessory and I love the summer print and tropical design. I just wish I was going on holiday so I could use it! I recently received another passport cover so when I next go away I am going to put this on James passport – I’ll be the one carrying them both anyway so why not carry them in style? 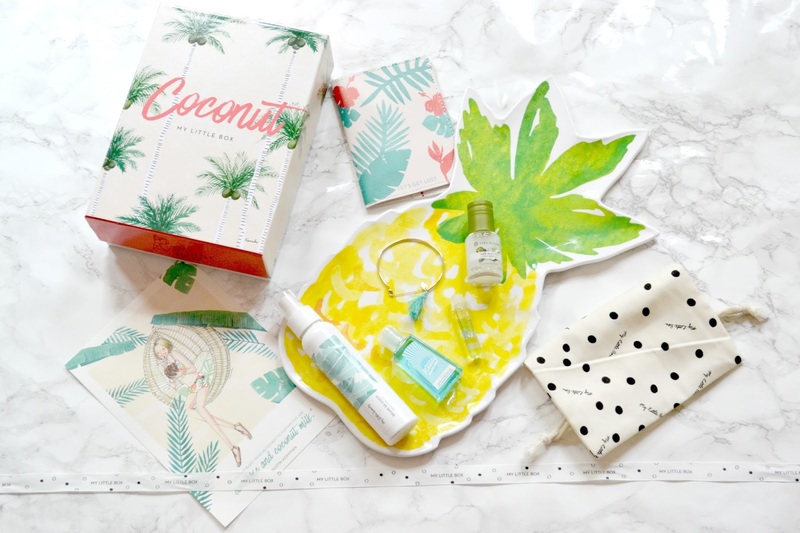 Overall I really liked this box and even preferred it over my Glossybox this month believe it or not! I really feel like the theme tied itself together really well and each product has been suitably chosen and really works well in the box. Thanks again Kim for part 2 of my birthday present! Bring on next month’s box!